When I served in the California State Assembly there was a time where it wasn’t good to be friends with then Controller John Chiang. Everyone in my Democratic Caucus was mad at John because he cost each one of us $5,000. 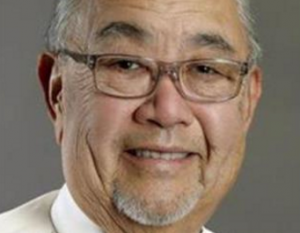 It was the first budget cycle after the voters passed an initiative where the Legislature needed only 55% vote to pass the state budget (until then it took a two-thirds vote to pass the budget). The caveat was that that vote had to be done by July 1st. Well, we passed a budget and got the required threshold of votes, but John stepped in and said it was not a balanced budget. Note that governmental budgets are based upon assumptions, estimates and projections for the most part (projected income from taxes as an example) and it could appear that we were using smoke and mirrors. John called us on that and as a result we missed the deadline and the penalty was to “dock” our pay. So, in the Democratic (the majority party) Caucus, John’s name was “mud” and a few other choice references. John’s a Democrat, so how could be do this to us (members of the same party)? Let me digress for a moment. It was only the year before that we were cheering John as he stood up to Gov. Schwarzenegger and refused to cut state workers’ pay and put them on furloughs. He said the Guv didn’t have the power to unilaterally do this without negotiations. All this to say that John has no qualms about speaking truth to power and walking his talk. Political friend or foe, for John Chiang what is right is right, no matter what political powers are involved. 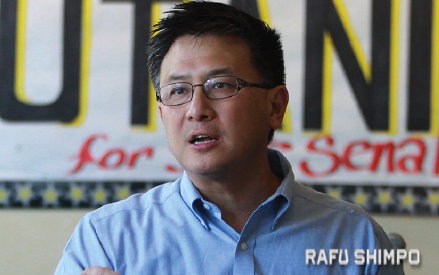 Make no mistake, it will be an uphill battle for John Chiang to become governor of California. Both the two other major candidates are formidable — ex-Mayor Antonio Villaraigosa and Lt. Gov. Gavin Newsom. They have their strengths and weaknesses and more notoriety. But, I think at the end of the day, especially with all the turmoil being caused by the president, the voters will want a principled, steady hand that knows the numbers (John has been a multi-term state controller and now treasurer), has the moral compass, has the work ethic (hardest-working pol in California — note: watch out for Antonio, he’s a relentless campaigner) and isn’t afraid to stand up to whatever interests that he feels are wrong. Last point: let’s see what John’s vision is for California’s future and that will be forthcoming as the campaign ramps up. Warren Furutani has served on the Los Angeles Unified School District Board of Education and the Los Angeles Community College District Board of Trustees, in the State Assembly, and on the Los Angeles Board of Public Works. Opinions expressed are not necessarily those of The Rafu Shimpo.